Don’t Miss this Fun Big Ten Alumni and Friends Networking Event! 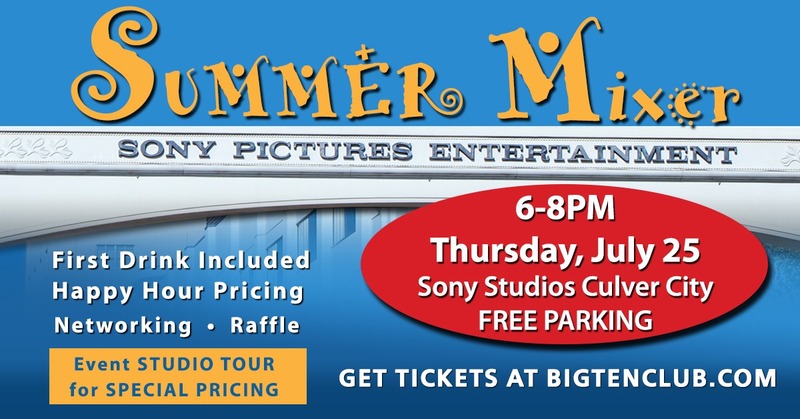 Grab your friends and join the Big Ten Club for our annual an evening of mingling, networking and Happy Hour fun at Sony. Enjoy your first beverage on us and discount pricing for food and additional drinks. Studio Tours are also available at a special event price just for us.